The report looks at how jails in England and Wales operate disciplinary hearings called adjudications, where allegations of rule-breaking are tried. Almost 160,000 days – or 438 years – of additional imprisonment were imposed on prisoners found to have broken prison rules in 2014. The number of extra days imposed on children almost doubled in two years – from 1,383 in 2012 to 2,683 in 2014 – even though the number of children in prison almost halved. 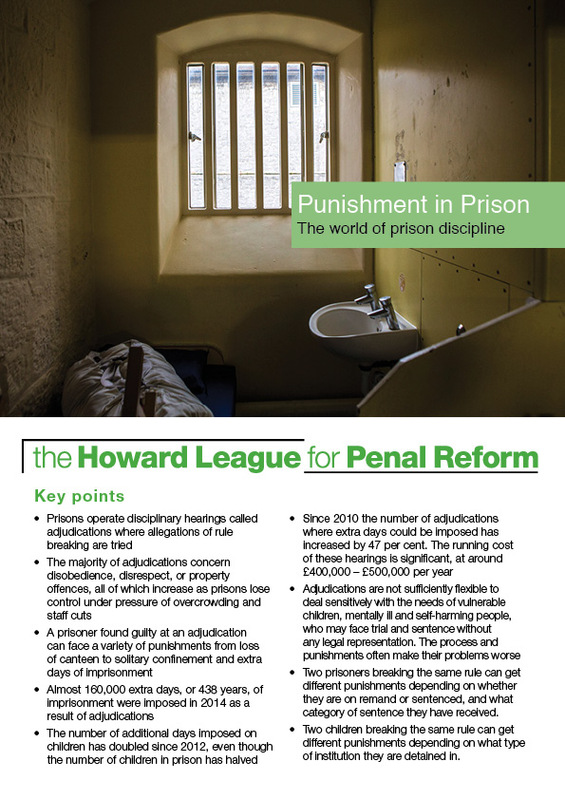 The rise in the number of adjudications in prison has come at a time when prisons across England and Wales are struggling to overcome problems caused by a growing prisoner population, chronic overcrowding and cuts of almost 40 per cent to frontline staffing.